Do you need a reason to smile? Go horseback riding. Recent studies have demonstrated that horseback riding has an incredibly beneficial effect, not only on our bodies that become slimmer, but also on our moods. It appears that whenever we sit on one of these animals our bodies release large amounts of endorphins, our hormones of well-being. And this can happen to anyone, whether they are beginner or expert riders, or whether they prefer trotting to a more adventurous gallop. This probably occurs because wherever we go with a horse is a destination that brings us closer to ourselves. 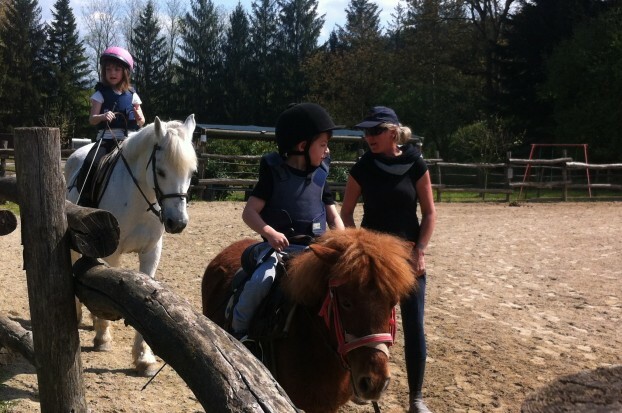 A ride in the countryside or a horseback riding course? Riding a horse in the unspoiled nature that surrounds Villa Campestri is a unique way of discovering the beauty of our territory. You can follow country lanes, marked paths, and the banks of streams. 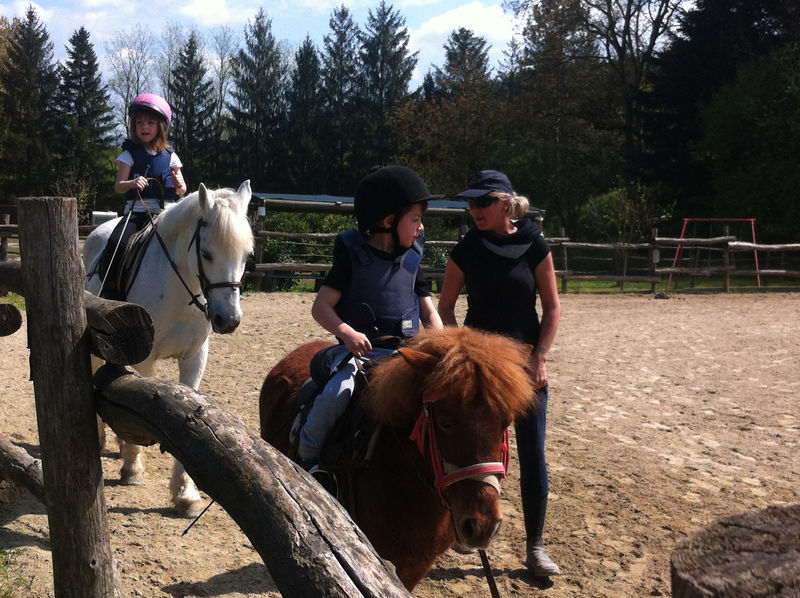 Would you prefer a short outing, a day trip discovering valleys and historic hamlets, or a riding lesson? Let us know your wishes: we will know how to organize the ideal activity for you according to your age and familiarity with horseback riding. Carolina’s lessons leave children with mouths wide with wonder. Carolina, who is a national champion in show jumping, is the enthusiastic amazon that manages the nearby riding school. Carolina is very certain about a few things: She lives for her horses and she adores offering all-embracing experiences with horses to anyone who loves them. 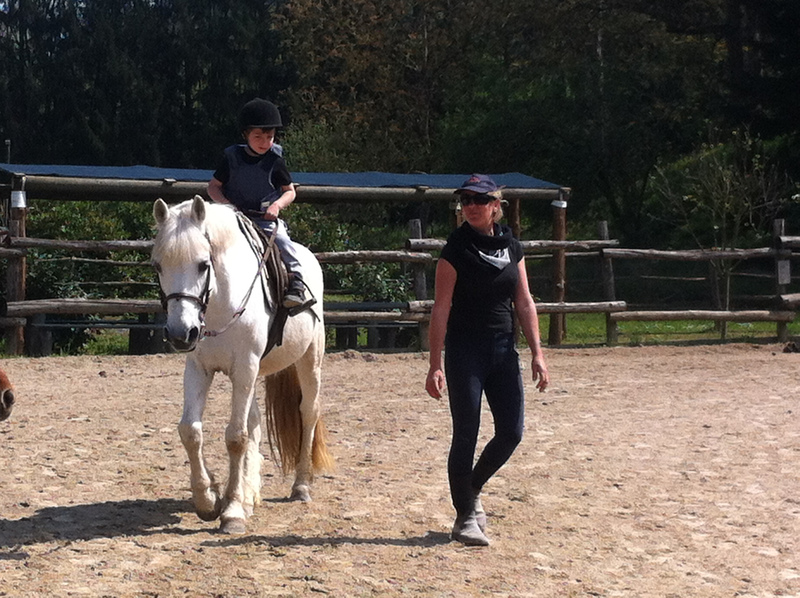 And who loves horses more than children? 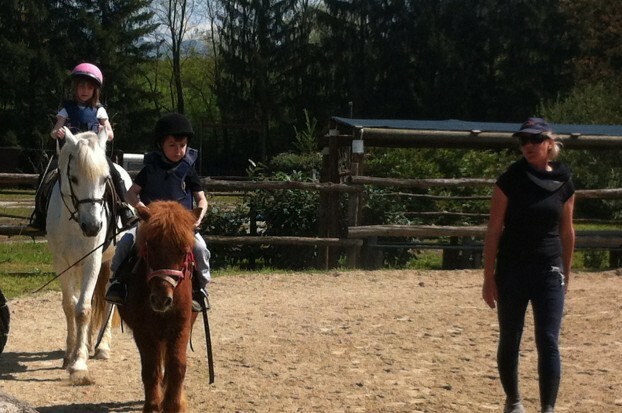 Carolina lets children groom the horse chosen for their riding lesson. 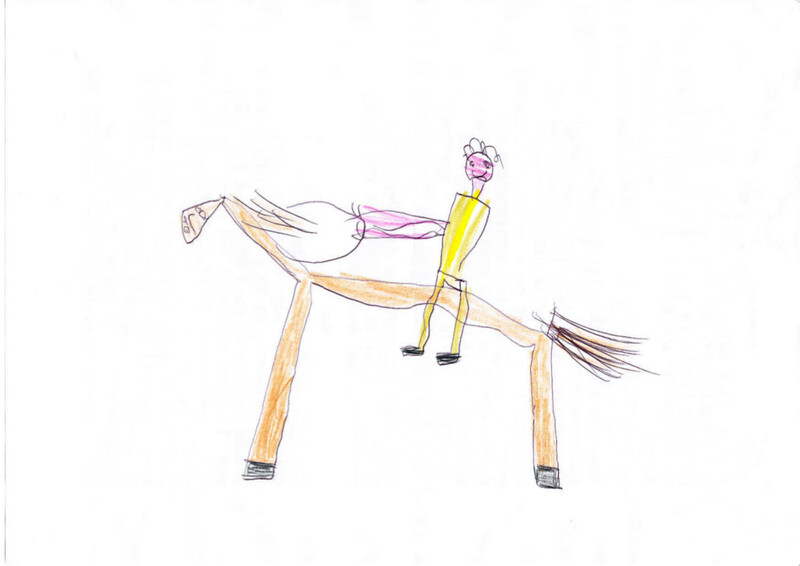 Children will brush, saddle, and pamper their horses until they are brought back to their stalls. 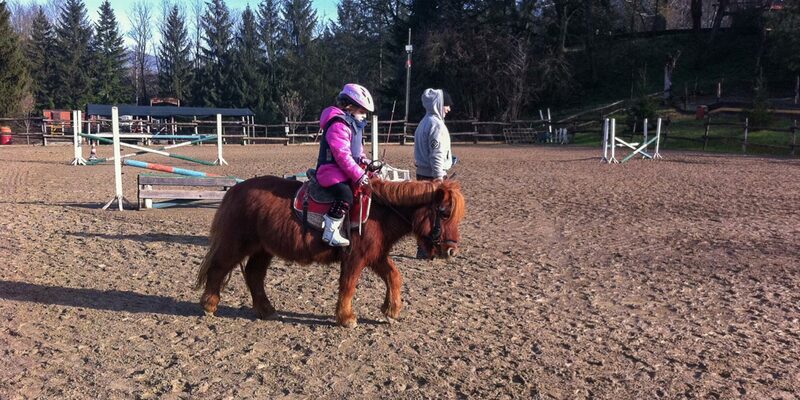 Carolina specializes in horseback riding for children. 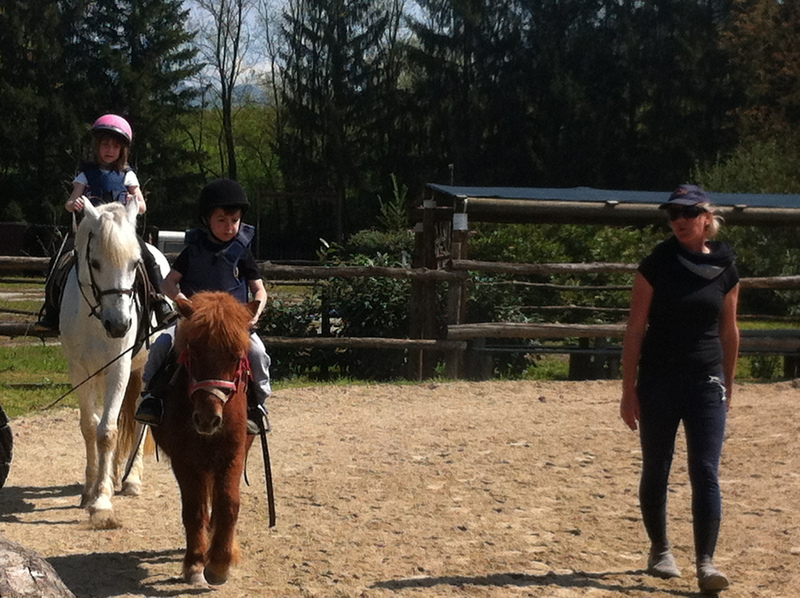 There are two extraordinary ponies in her riding school – Occhidolci and Peter Pan. For further information please contact the staff of Villa Campestri Olive Oil Resort at our telephone number +39 055 8490107 or send us an e-mail.